While the VMware vCloud Hybrid Service (vCHS) Disaster Recovery (DR) has been available since May 2013, it is just now gaining more notoriety. This service provides VMware’s enterprise users a public cloud option that integrates directly with their existing virtual deployments. 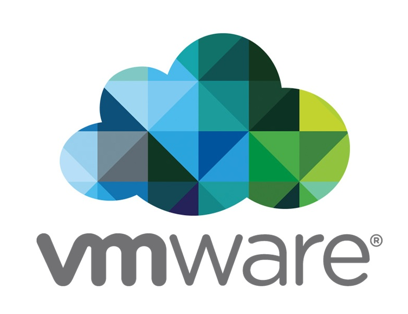 Recently, Matthew Lodge, VP of Cloud Services Product Marketing and Management at VMware, talked to the IT site Datamation. In their discussion of vCHS, Lodge said that anything that is running on a VMware vSphere host can be replicated, regardless of what kind of storage the customer has -- vSAN or anything else. The vCHS offers what they refer to as ‘continuous replication to enable DR.’ Per Lodge, "It's a replication rather than a back-up, and it's continuous as in the data is continuously copied from the protected site to vCHS. The VM state is captured at intervals, the Recovery Point Objective (RPO) interval, to ensure all VMs are consistent in the DR set." The DR solution is continuous, but it is not a fully active to the point that it could be used to load balance VM workloads. Lodge states that vCHS-DR is designed for what is known as ‘active-passive DR.’ "It doesn't support active-active, though today many apps contain code to allow active-active configurations," Lodge said. "In that situation, you'd run the same VM at vCHS as you ran on-prem, and you would do state sharing between the two (built into the app) across the network." Even though the vCHS is a remote cloud service, Lodge added that additional network acceleration hardware may be beneficial to some users due to the the data intensity that a DR operation can include. While it’s not a necessity, this hardware can help compress data and manage bandwidth and transfers. At this time, DR data stream is delta-compressed with only changes from the last set of updates being sent to vCHS. For an existing VMware customer, there are just a few steps you’ll need to take to get this service. First, you need to download the vCloud Hybrid Service – Disaster Recovery replication virtual appliance from VMware.com. The virtual appliance is then installed into the VMware vCenter applications where the administrator will select the DR icon and perform the configuration. Lodge says, "To do that, the customer enters the API URL for the vCHS site to which they want to replicate, identifies the VMs to be protected, sets any VM-specific options, and selects the recovery point objective (15 mins - 24 hours). They then monitor from the vCenter console, and/or from the vCHS console."